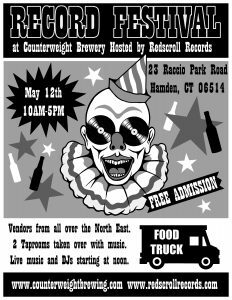 May 12 Record Fest Dealers! We thought it might be nice to go over some of the dealers that you might encounter during our upcoming record festival! This won’t be in any particular order – not even alphabetical and if anything changes before the fair I might update it too so feel free to refer back to it. As happens with organizing these types of things we do get drop outs and we may have some empty space for those who might still want to reserve a table. If that’s you you can reach out to us at redscroll@gmail.com or call the shop and ask for Rick or Josh at 203 265 7013. Hey all ! We’ve got an event coming up fast in just a few Saturdays! If you’ve been to the store or follow us on social media or if you’ve seen flyers out in the wild you might already know. 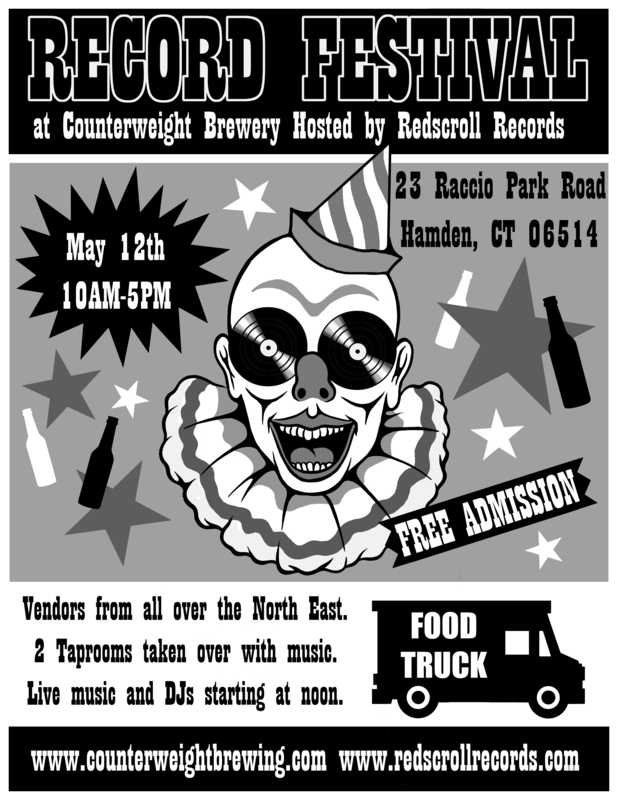 We’re holding a record festival with our friends over at Counterweight Brewery in Hamden! 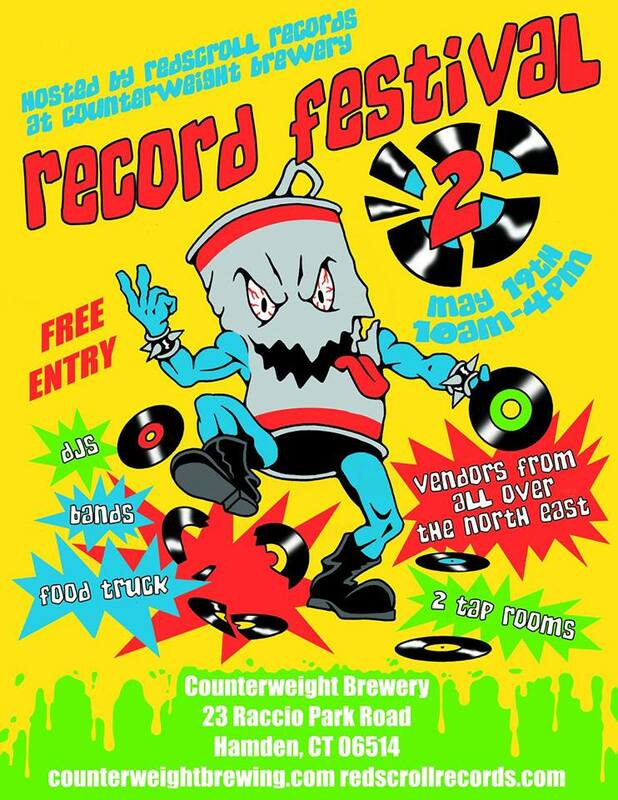 The record festival starts at 10AM. It is free entry. There is no early admission. We have dealers coming in from all over the north east. 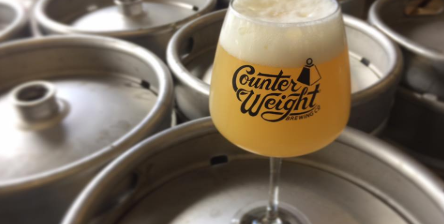 Counterweight is coordinating to bring in a food truck so there will be sustenance as well. Entertainment will begin at noon! We have some of the finest selectors in the area and a few of the finest musical acts. + Donovan of Husher and Arabian Blade. 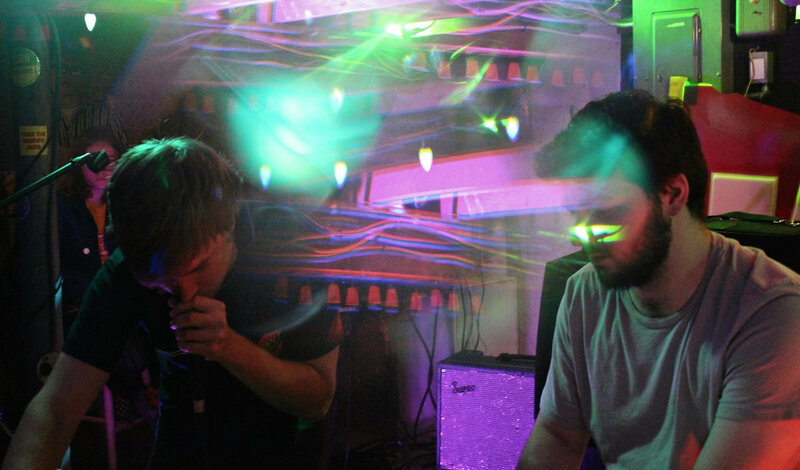 + Ross Menze – local musician often seen behind the kit for Mountain Movers and Headroom and producer of dance music himself. + Lord Lewis, The Velvet Knight of The Rumpus Room on WESU, Middletown 88.1FM & Firehouse 12 residency, Heatery. + DJ Marc Mecca of Vinylistics (Facebook) / Vinylistics 203 (YouTube). Set times will be announced the day of the event through the facebook event found here. WESU is having their bi-annual record fair on Sunday, April 7th. It’s free and open to the public and will take place from 11am to 4pm in Becham Hall/ Fayerweather, located on 55 Wyllys Ave, in Middletown,CT. 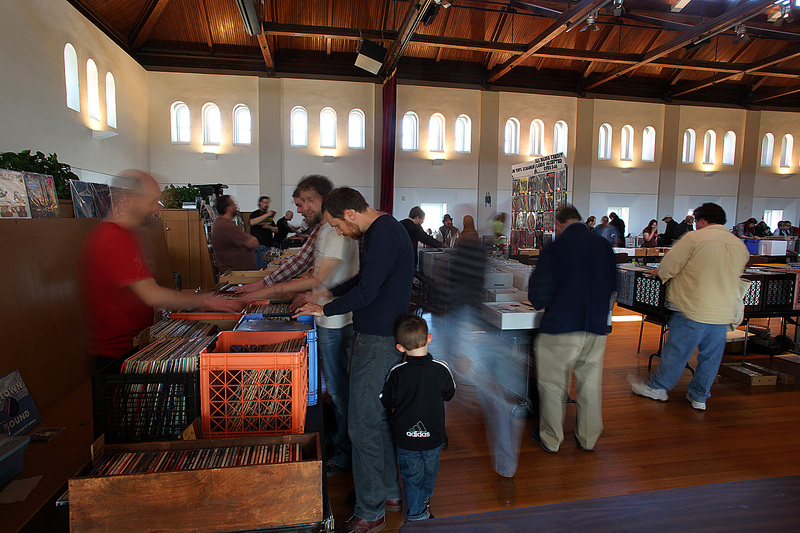 The record fair will feature new and used music in all formats ranging through all genres. There will also be WESU DJs spinning vinyl live along with WESU selling merchandise. PLUS there will be good food and games. So come join us and the fine folks over at WESU for this great event! If you’d like us to bring anything in particular definitely message us and let us know. 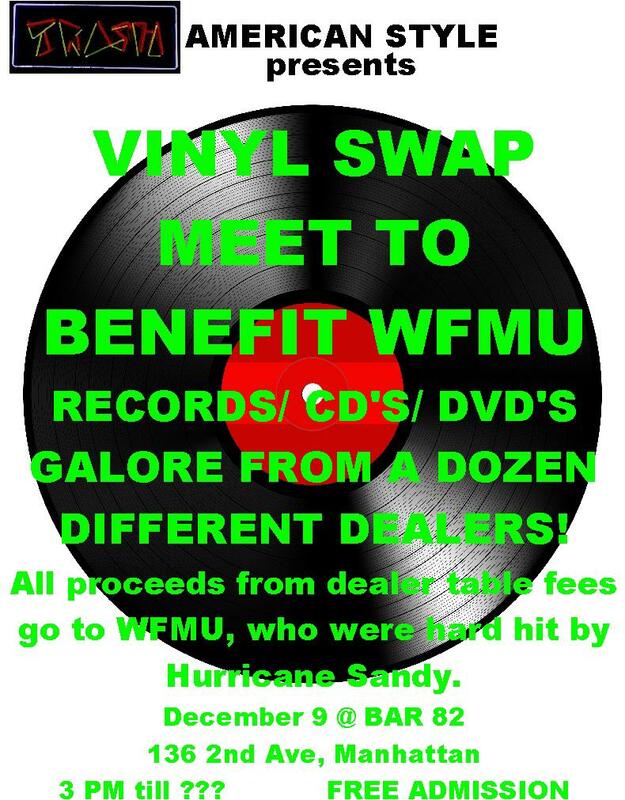 WFMU Benefit Record & CD Fair! WFMU was named “Best Radio Station in the Country” by Rolling Stone magazine for four consecutive years. Some fans of the station include: Velvet Underground founder Lou Reed, The Simpsons creator Matt Groening, filmmaker Jim Jarmusch and playwright Eric Bogosian, Neutral Milk Hotel frontman Jeff Mangum, Kurt Cobain, Led Zeppelin lead singer Robert Plant, Sonic Youth guitarists Lee Ranaldo and Thurston Moore, and many more. The station also helps out the community and fellow radio stations. WFMUbegan voluntarily hosting the webcast of legendary New Orleans jazz music station, WWOZ, when its studio and transmitter were destroyed in the wake of Hurricane Katrina. WFMU took donations for the WWOZ and raised over $70,000. Come help support a good cause!